As an administrator, you can add users (learners or instructors) in newly created classrooms to help coordinate with classroom activities and other stuff. Some time you may also need to block, remove users from your classroom as per your requirement. In this article we will talk about how you can manage users in your classrooms. 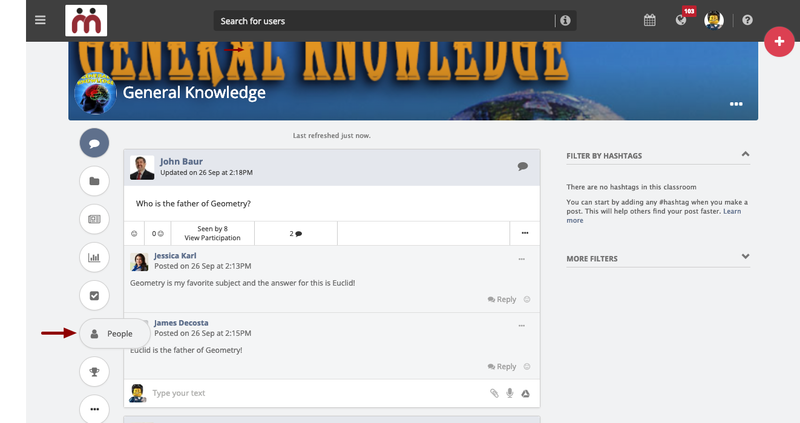 After your classroom is set up, you can add new users to your classroom. 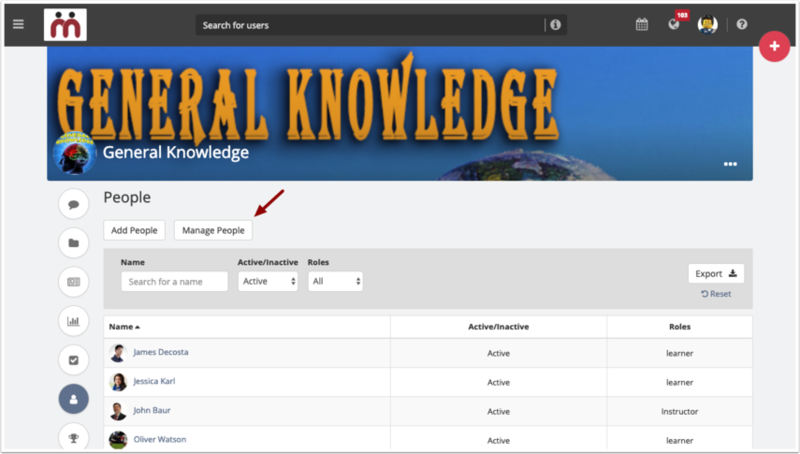 These users can be learners, instructor or classroom administrators. Follow the steps below on how to add users to your classroom. 1. Access a classroom of your choice. 2. Click People on the classroom landing page. 3. You will see the list of users having access to this classroom. Click Add People to start adding more users to this classroom. 4. 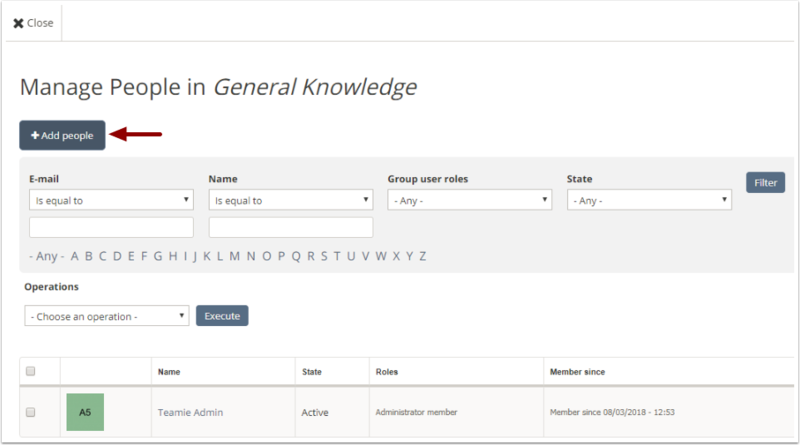 Select a role that you want to assign to the user(s). The role determines the set of permissions users will have in this classroom. 5. Type out the user's name in the People text box. Select the user from the list of suggestions that appear. Repeat this step to add more users. 6. 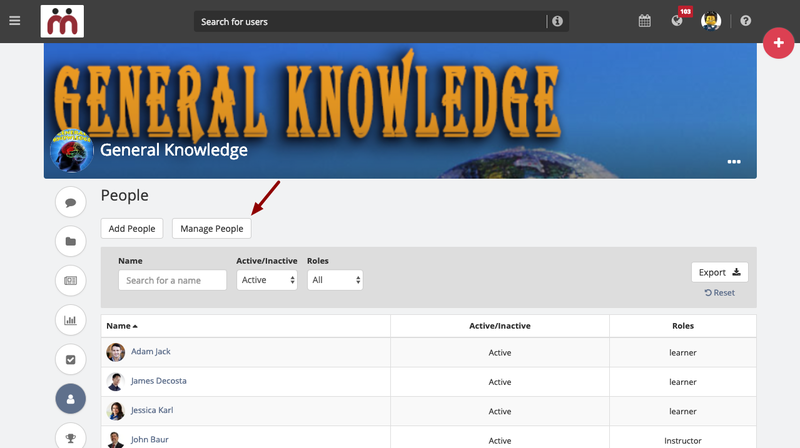 You can also add users by entering your site's primary identifier (username/email). 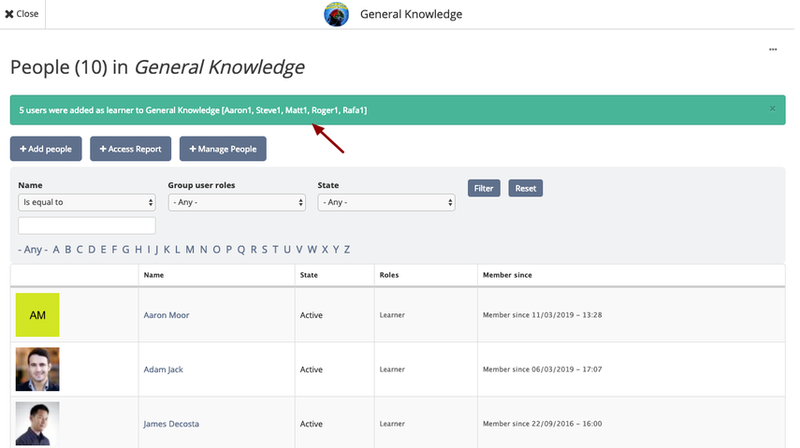 Identifiers (username or email address) can be separated by commas or by a newline, which means that you can copy data directly from an excel into the Add people box. This way you can save a lot of time by adding multiple username/emails in a single go. 6. 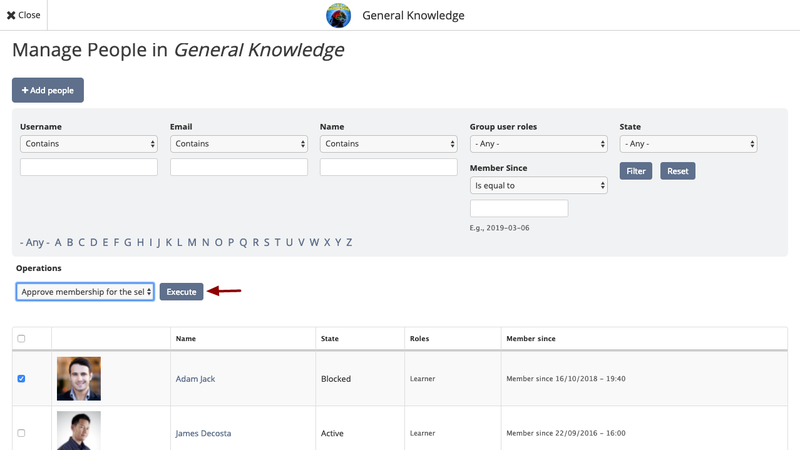 Click Add people to add the selected user(s). 7. 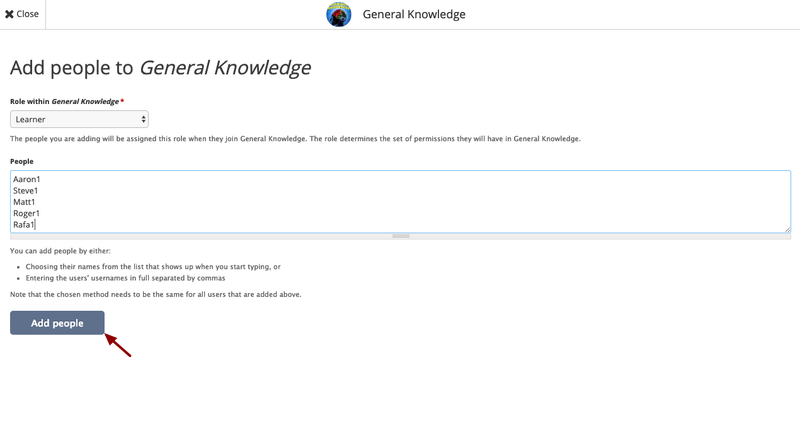 A confirmation message is displayed after the process competes to indicate that the user(s) have been added to the classroom. 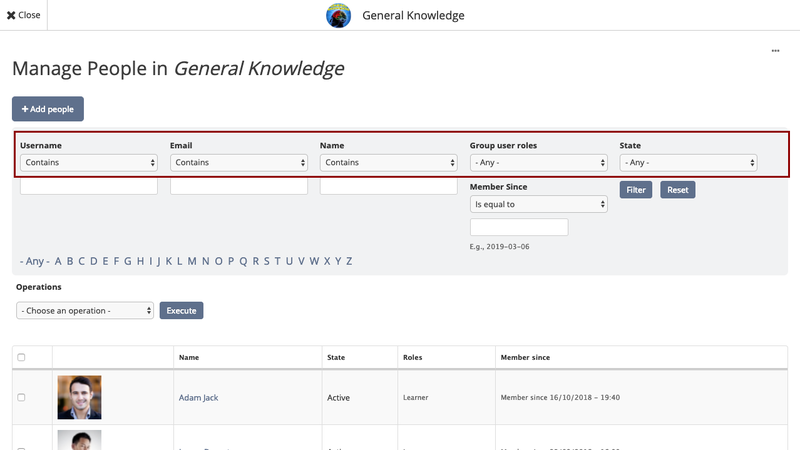 The system will allow to add more than one user with same email address to a module, if 'username' is set as the site's primary identifier and the users have different usernames. 3. 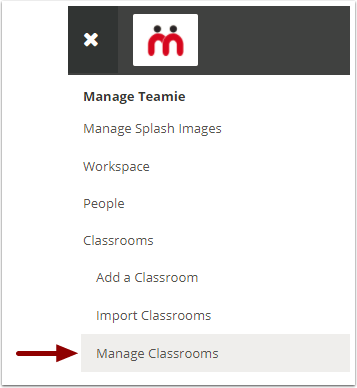 On the Manage Classrooms & Groups page, select a classroom in which you wish to add users and then click Manage link. You can quickly search the classroom using the available filters. 4. Click Add People to start adding more users to this classroom. 5. Select a role that you want to assign to the user(s). 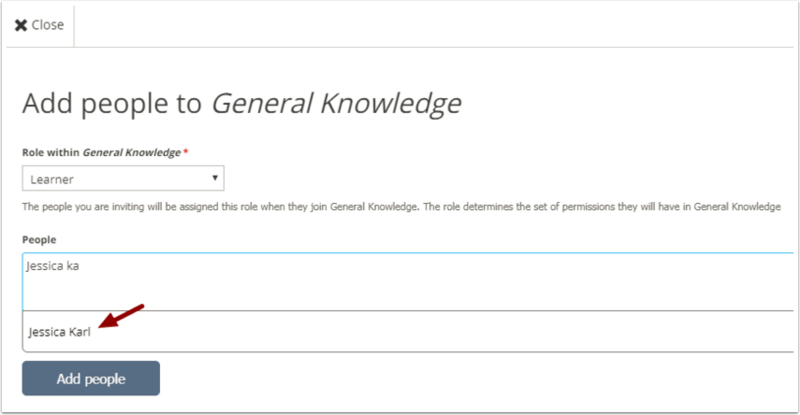 The role determines the set of permissions users will have in this classroom. 6. Type out the user's name in the People text box. Select the user from the list of suggestions that appear. Repeat this step to add more users. 7. 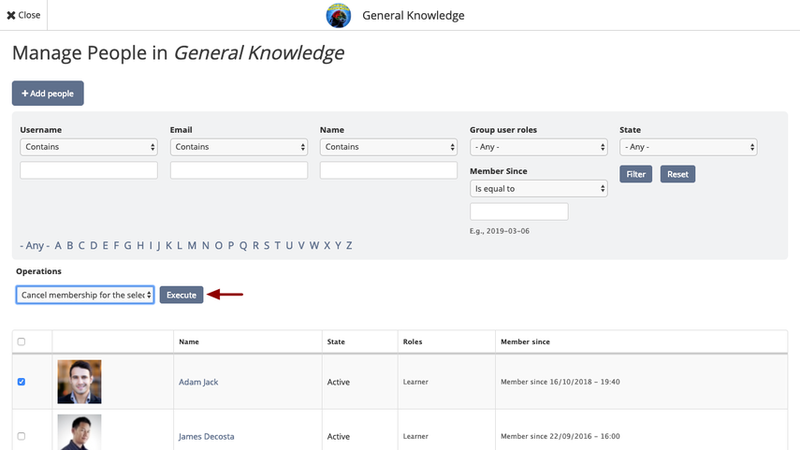 You can also add users by entering your site's primary identifier (username/email). 8. Click Add people to add the selected user(s). 8. A confirmation message is displayed after the process competes to indicate that the user(s) have been added to the classroom. 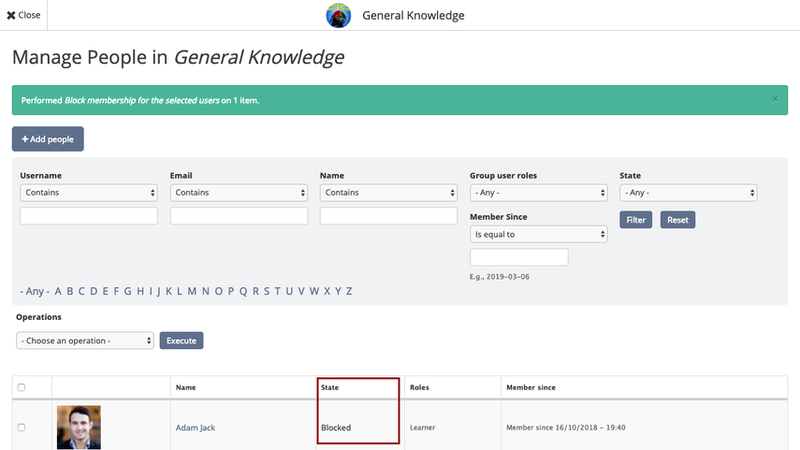 As an admin, you can block or unblock users at group (classroom) level. When a user is blocked at classroom level, his/her posts, comments, assessments access etc. are NOT deleted. They remain intact. 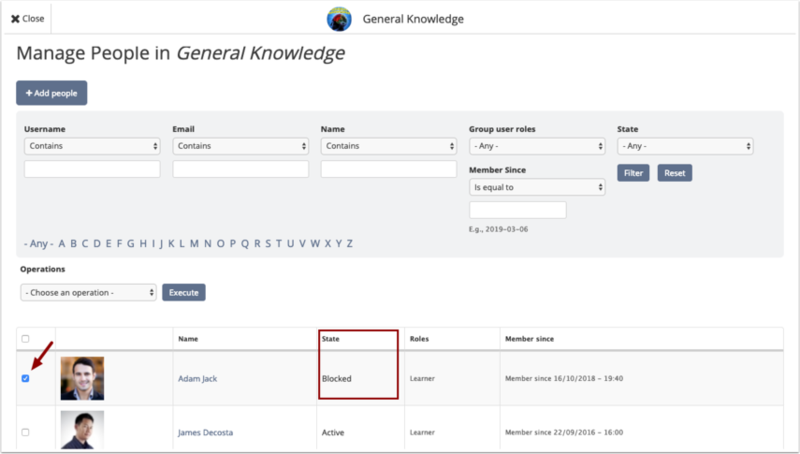 The purpose of blocking is to temporary prevent the user from accessing the content in the classroom and to prevent him/her from receiving any notifications related to the classroom. If you wish to permanently remove the user from the classroom, then read the article on "Removing a user from a classroom". 1. 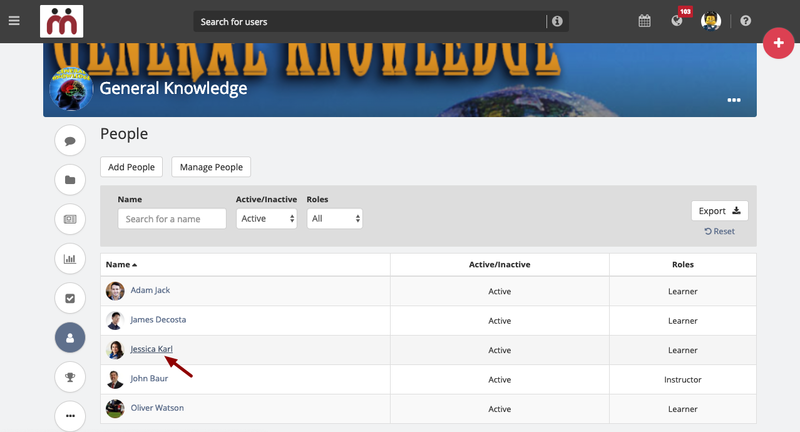 On the People listing page, click Manage People. 2. Select the user(s) from the list that you wish to block. 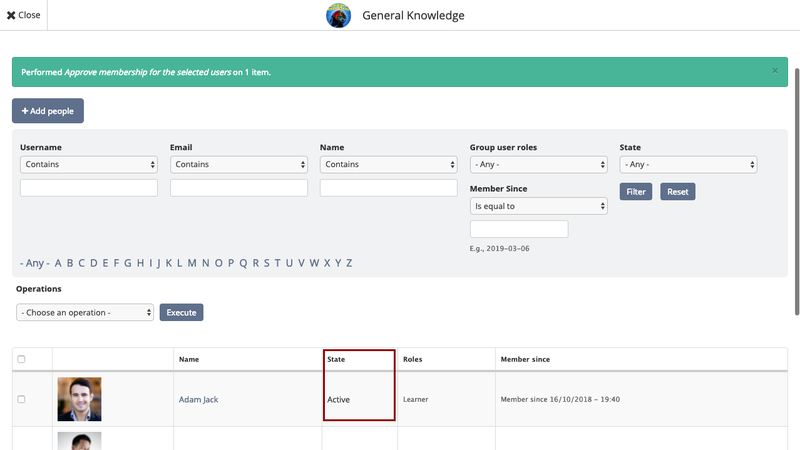 You can quickly filter members of a classroom on the basis of their username/email (based on your site primary identifier), name, role in the classroom and state (active, pending, blocked). Click Filter to apply the selected filter. 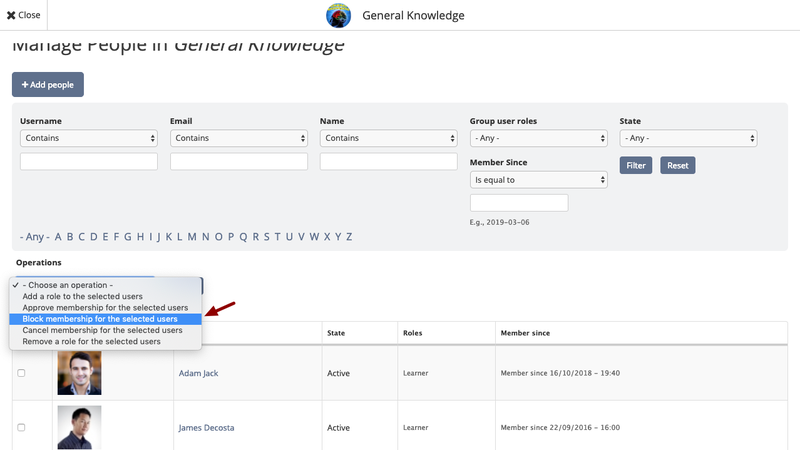 You can also quickly filter members of a classroom on the basis of their membership date. 3. 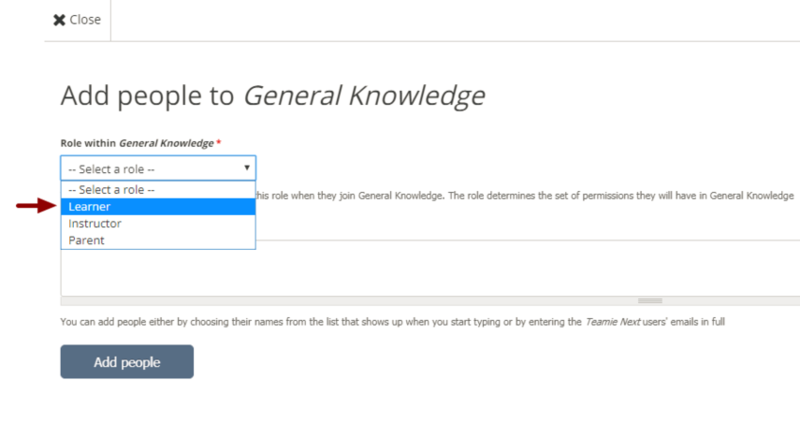 Select Block membership for the selected users option from the - Choose an operation - drop-down and then click Execute. Selected user(s) will be blocked. 4. You will see the block action progress for the selected user(s). 5. The selected user(s) will be blocked. You can see the user's current state in State column. You can grant access to the blocked users at classroom level anytime. 2. Select the user(s) you wish to unblock. You can check if the user is blocked or not, under the "State" column. 3. 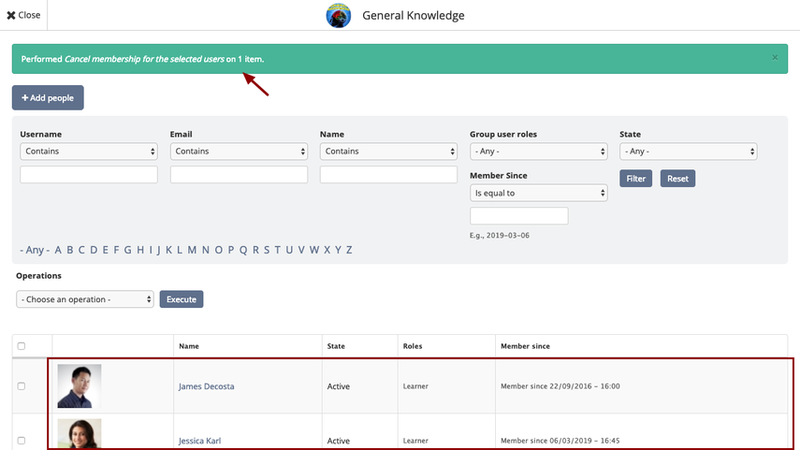 Select Approve membership for the selected users option from the - Choose an operation - drop-down and then click Execute to unblock the selected user(s). 4. You will see the approve action progress for the selected user(s). 5. The selected user(s) will be granted access to this classroom and user's current state will be changed from Blocked to Active in state column. You can remove users from a classroom anytime. The users who are removed will no longer have access to that classroom. If you wish to disable access to the classroom temporarily for a user, then you may block him/her. Read the article on Blocking user in a classroom for more details. 2. Select the user(s) you wish to remove from the classroom. 3. 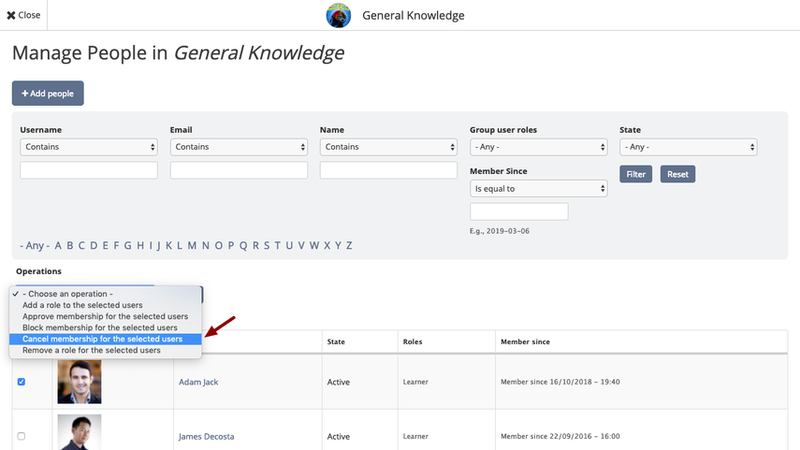 Select Cancel membership for the selected users option from - Choose an operation - drop-down and then click Execute to remove the selected user(s) from the classroom. 4. You will see the Cancel membership action progress for the selected user(s). 5. The selected user(s) will be removed from the classroom and will no longer appear in the list. You can change the user(s) role in a classroom anytime. The classroom role will determine what features can be accessed by that user in the classroom. You can assign different roles to a user in different classrooms. Note: A user can be assigned only one role in a classroom. In this section we will be showing you how to update the user's role in a classroom. 1. 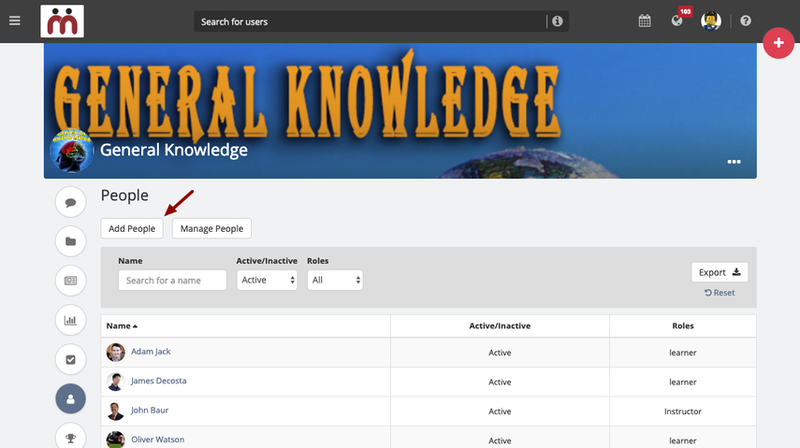 On the People listing page, click the username link to open the user's profile page. 2. On the user's profile page. click ellipses (...) and then select Manage Groups from the drop-down. 3. 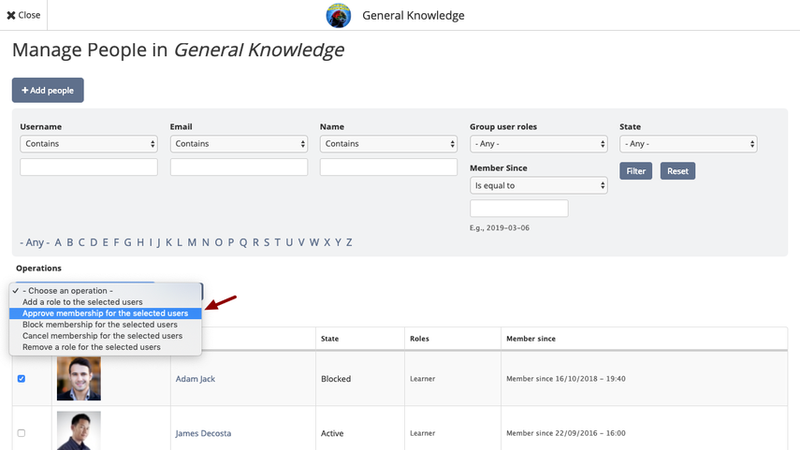 You will be redirected to the user's classroom membership page where you can see what role has been assigned for that user in each classroom he/she is member of. 4. 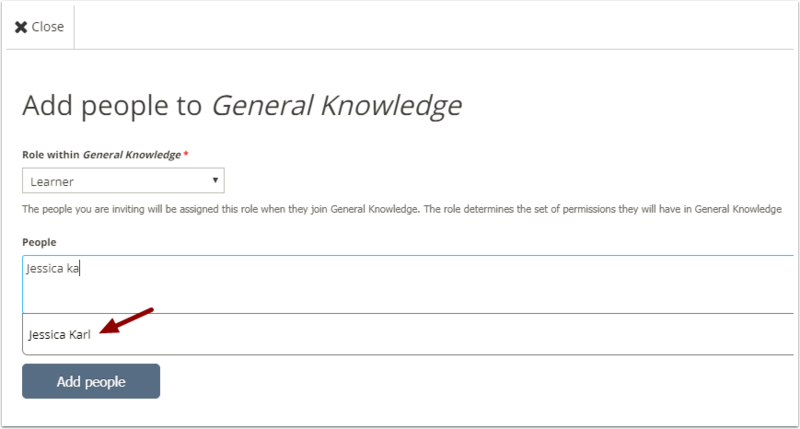 Click the role drop-down and change the user's role as per your requirement. 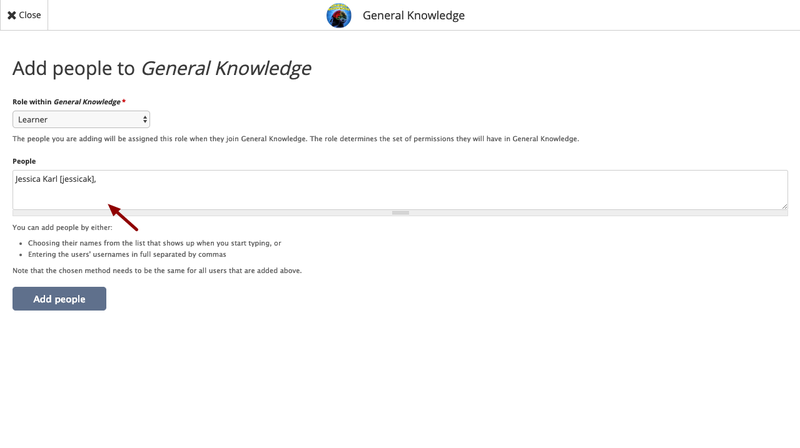 Here, user's role has been changed from "Learner" to "Instructor" in General Knowledge classroom. 5. Click Save Changes to save the changes you have made to the membership of this user. A confirmation message appears, "All changes saved successfully". Note: Until you click Save Changes, the changes you have made will not take effect. Q1) What happens when you remove a user from a classroom? A1) When a user is removed from a classroom, their data (posts, assessments submission, score & grades) is not deleted. 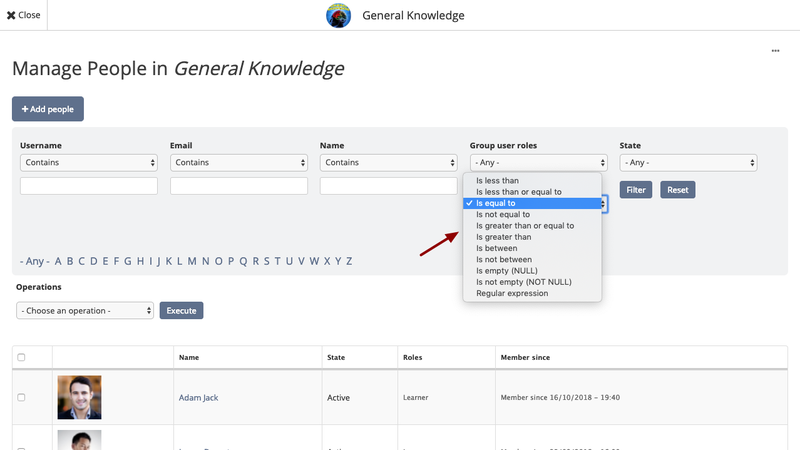 If a user is removed accidentally, their data can be restored by adding that user back to the classroom again. Q2) What happens when a user is transferred from one classroom to another? A2) To transfer a user from one classroom to another, classroom owner must remove the user from one classroom and enroll/add the user to another classroom.